A free guide to using the Jolly Music Big Books from Jolly Music Author Cyrilla Rowsell. 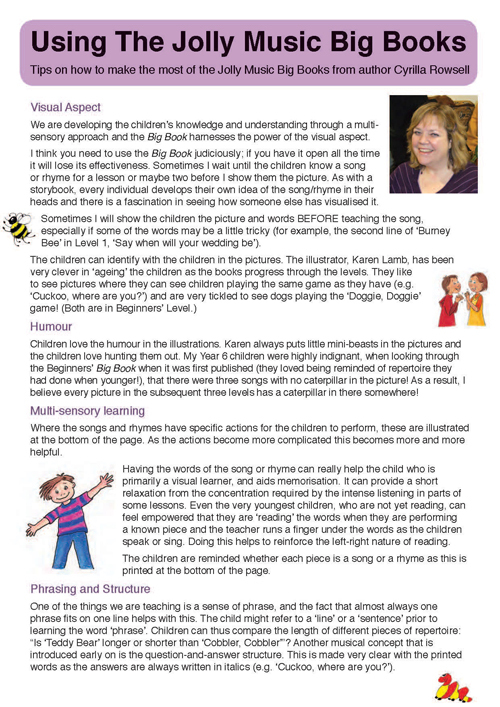 In this Cyrilla gives handy hints and tips gained from her experiences teaching with the Jolly Music Big Books. Click here to download your guide to using the Jolly Music Big Books.